Hey everyone! Today we have a special update and release live from ServerlessConf San Francisco. Since launching API Permissions two weeks ago the team has been hard at work iterating on our latest feature: improving the API Sharing (permission enabling) workflow for your Standard Library APIs built with our command line tools or Code.xyz. Without further ado, we're also thrilled to show you what we're rolling out this week! 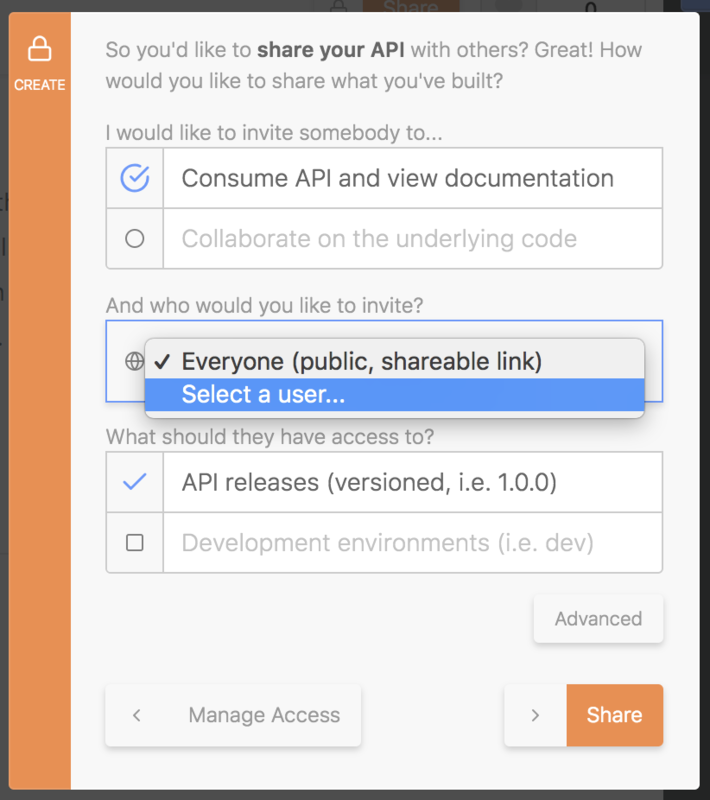 We've updated our API Permissions dialog and menu to enable you to share APIs with other developers or within your organization more easily. You'll notice our old Manage Permissions button has been replaced with a Share button on any API page you own. 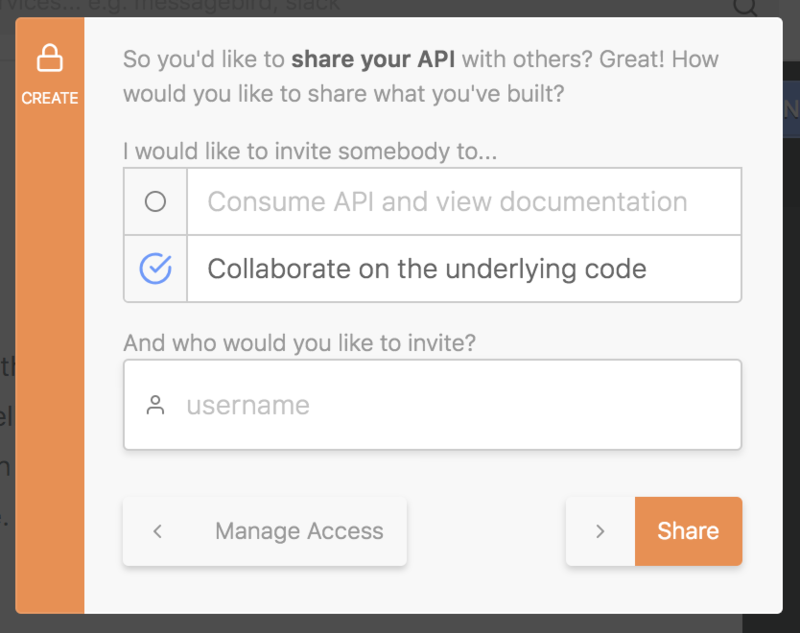 Upon clicking this button, you'll be given two options: you can invite somebody to execute your API and view documentation or collaborate on the underlying code. This flow is intended for read-only (and execute-only) access to your API: for example, clients or partners you're iterating on an API with and need feedback from. You don't want these people to worry about the code and implementation of the API, but would like them to be able to use and play with your API. 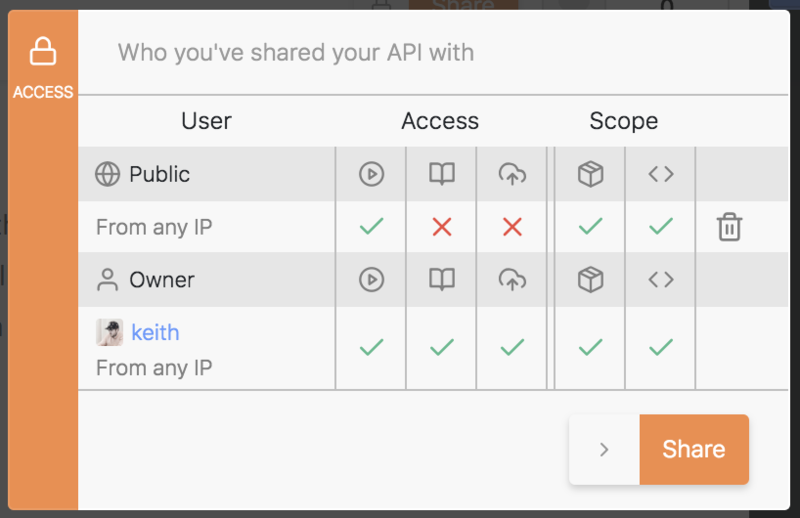 You can choose to share this API with everyone (creates global, public access — not restricted to a Standard Library account) or add specific users. Further, you can decide which development environments this applies to. API releases are immutable, versioned releases of your API and are encouraged to be shared, but development environments should typically only be shared with clients or people you're working on your API with, you don't always want to share how the sausage is made! You may also notice an Advanced button, with which you can use to set more granular permissions like restricting access to a specific IPv4 address or range and controlling execute / view documentation access separately. Access refers to Execute, View Documentation and Deployment privileges and Scope refers to the types of APIs available: release only, or development environments as well. 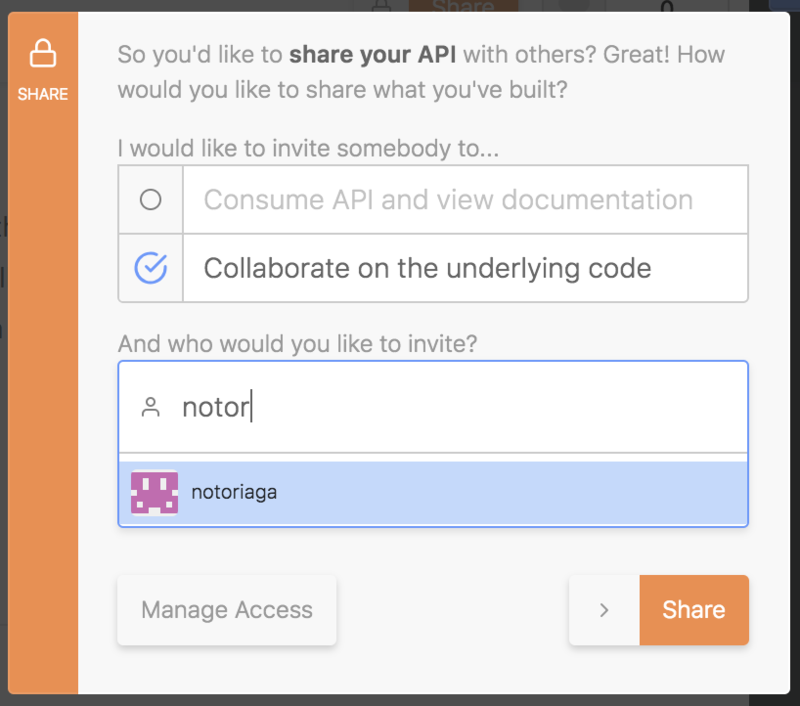 This flow is intended to invite teammates and other developers to collaborate on your API code. They'll be given access to the underlying API implementation, have full access to both API execution and documentation, and be able to access your API using Code.xyz. As usual, thanks for taking the time to read our updates, and thanks for being part of our journey at Standard Library! We're very happy to have you with us and have such great support from our growing developer community. Stay in touch with us by joining our Slack workspace, or follow us on Twitter, @StdLibHQ. We look forward to building more with you!